Sara was born and raised in Coastal Maine but has called the PNW home for over 12 years. Before starting her career as mountain guide in the Cascades 8 years ago, she worked for several years as a whitewater guide. 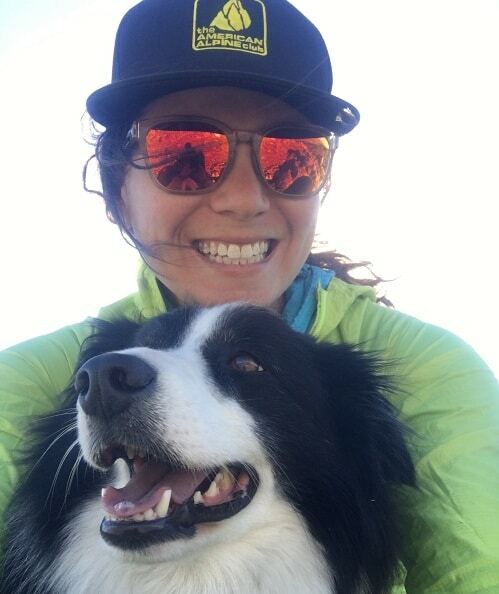 In the winters, Sara works as a Professional Ski Patroller at Crystal Mountain, with her primary focus being on her role as the director of the avalanche rescue dog group and it’s non-profit, Cascade Mountain Rescue Dogs. When not working in the mountains, Sara works part-time as a Veterinary Technician in Bellingham; or on the road working Climate Ride events, a benefit cycling ride raising money to support bicycle advocacy and sustainability. Sara’s passionate about being active in the outdoors, mountain safety, and sharing the unforgettable experience of climbing the Cascade volcanos. Every now and then Sara gets to sleep at home in Bellingham, WA with her partner, Dylan, also a guide for AAI, and their two dogs; a working Border Collie, Piper, and the resident geriatric Husky, Denali.